Are you passionate about building a strong local entrepreneurial ecosystem while working for an international and fast growing co-working venture? 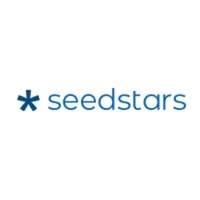 Who we are: Seedstars is a global organization with headquarters in Switzerland and a presence in 60+ emerging markets. We are on a mission to impact people’s lives in emerging markets through technology and entrepreneurship. Our initiatives are focused on connecting stakeholders within these ecosystems, building tech companies from scratch and investing in the top entrepreneurs. Coworking: Flexible, global memberships for entrepreneurs and community. Coliving: Short to mid-term room rental for digital nomads, coworkers or travelers looking for a life & work package in a friendly and dynamic environment. Your main objective will be to (1) execute our Programs & Events to different stakeholders to ensure a steady revenue from these activities to the Hub and (2) develop and consolidate a strong Seedspace community by being the go to person for (potential) customers and partners. Production of local events from conception through to completion, all the way from meetups to bootcamps and hackathons, as well as our popular Seedstars World pitching competition. Since you will be on the ground, meeting with potential customers and key players, you will play a crucial role in the overall community management, business development and sales process. A natural networker and communicator: this job only makes sense for somebody that enjoys working with people and for people, and translates this into connecting them to generate fruitful relationships.